I love this recipe with all my heart. It’s bursting with flavor, but very few ingredients are used to acheive it. The lemon cuts through the creamy butter, while the butter mellows the acidity of the lemon. It’s all about balance, and balance is what every recipe craves. 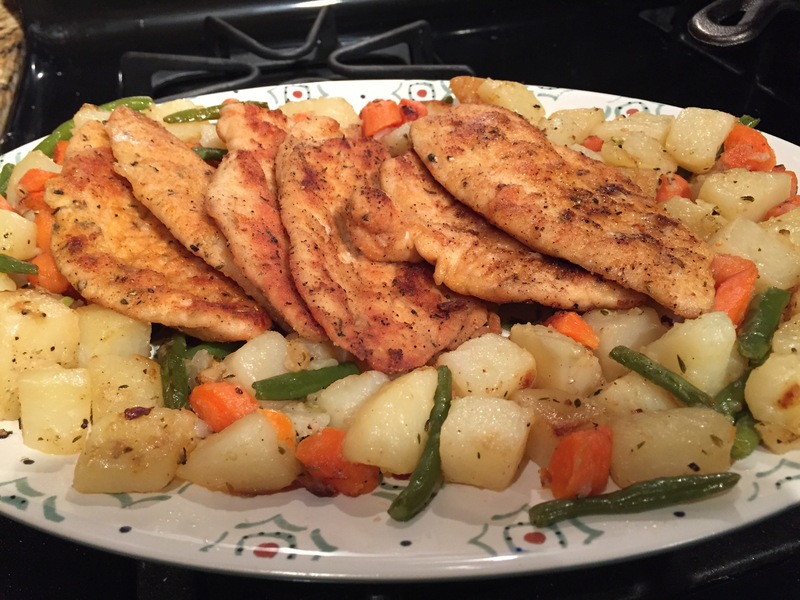 If you have your chicken defrosted you can put this meal together in 30 minutes or less, and dinner on the table in 30 minutes or less is the dream, isn’t it? It’s so simple to put together it’s insane. 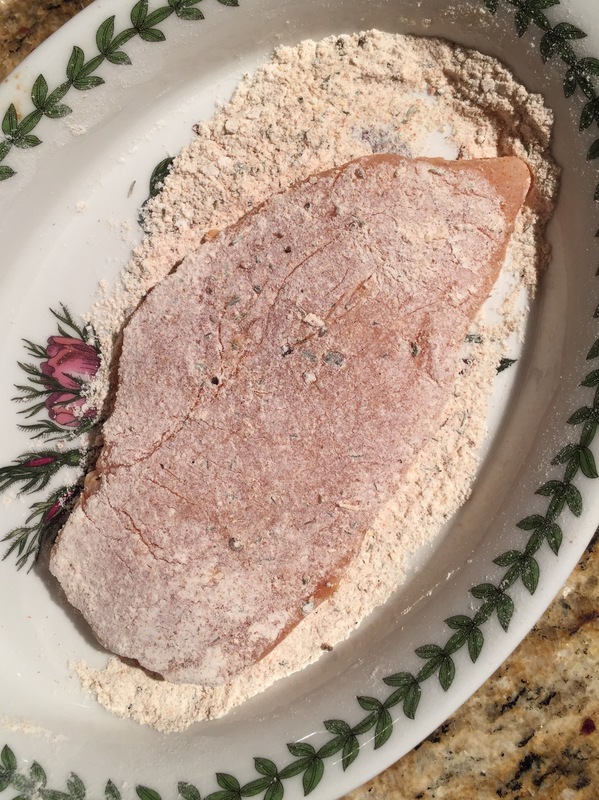 Mix the flour, salt, black pepper, garlic powder, paprika, cayenne pepper and 1/2 tsp thyme and dredge each chicken fillet until completely coated, and set aside on a plate. Heat a little oil (I use about 3 T) in a frying pan and pan fry the chicken fillets. You might have to add a little oil between each batch. Then once you’re done frying the chicken fillets transfer them onto their seving dish. 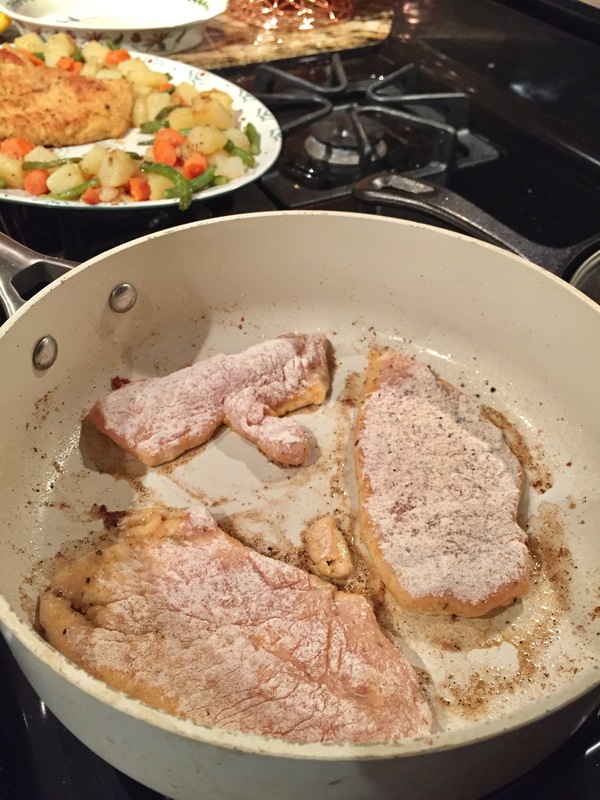 You can use the same pan or make this in a small sauce pan. 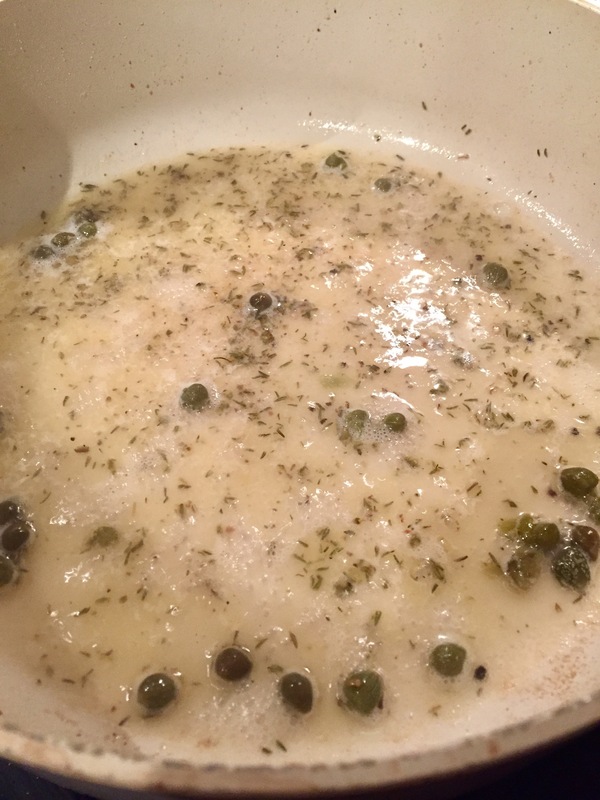 Just add the lemon juice, butter, a splash of water, capers and 1/4 t thyme and bring it to a boil. Season to taste with salt and black pepper. Pour the sauce over the chicken right before you’re going to serve it. I serve with this sautéed vegetables or mashed potatoes and some pasta tossed in butter would be delicious too!